Papaver Beauty of Livermere (Papaver orientale) bears extremely large deep scarlet flowers with a black blotch at the base of each petal. Individual flowers can reach 15-20 cm across. Oriental Poppies, or Papaver, are hardy perennials that produce a cheerful display of bright coloured papery flowers from Spring through to Early Summer. Perfect for borders and cottage gardens. After flowering, plants will die down until the cooler weather brings them on again. 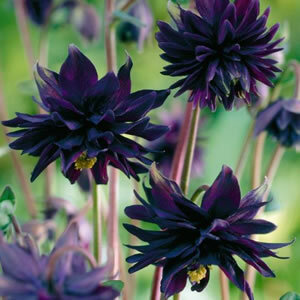 Once planted they require very little care and will grow in any sunny position in the garden. Will attract birds and butterflies to your garden.